Point of fact: I did not expect the Cardinals to be here, not in August, not in September, not last week. My simulator didn't think any more highly of them. Yet, here we are. 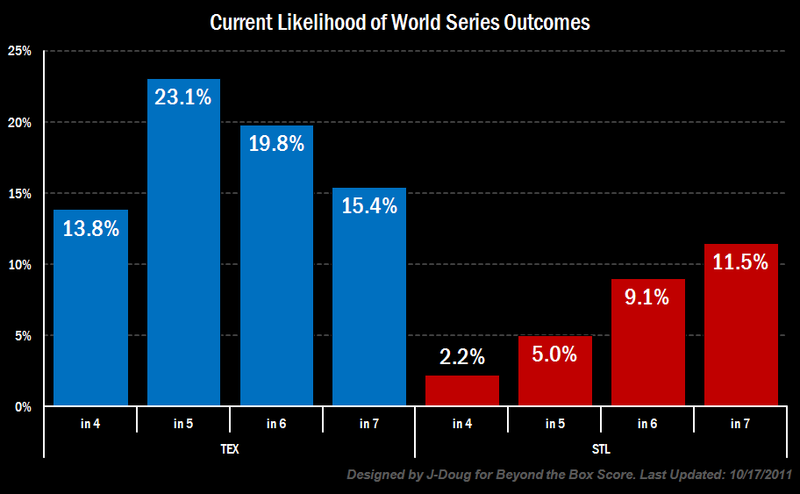 Our projections have the Rangers as 2:5 favorites, with the most likely outcome being a Texas win in five games.